Complete tool to manage all our bank accounts as well as the domestic economy of the family. HomeBank is a simple app of managing the financial situation that allows us to make a complete financial analyses of all the incomes and expenses that we have in our domestic economy, optimizing the savings and rising up the benefits. 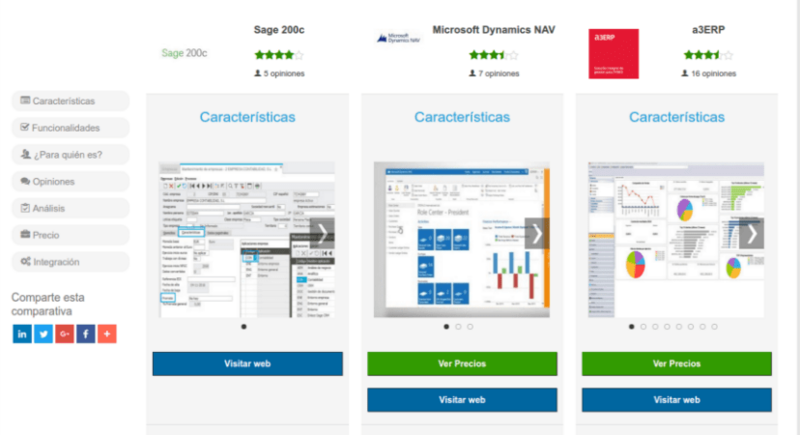 It allows you to create financial reports that give more priority in the expenses in particular financial results, adjusted to the income received in the event that such expenses exceed the income earned. It allows you to make automatically graphics of the reports that have been generated by the app, making it easier to make quotes of payments and incomes. It allows to analyze and compare the results of the report made every month with the others form other months and with other economies that we are dealing with too. 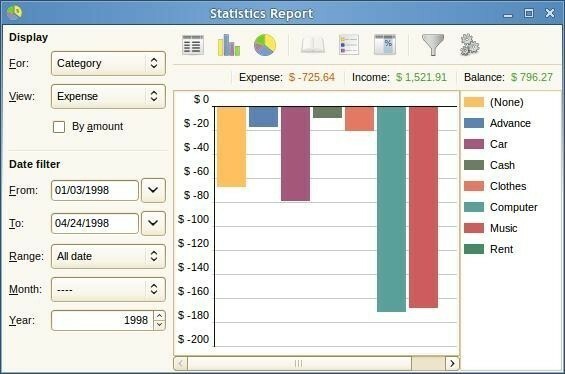 You can save the financial report using spreadsheets in Excel. For it to work fine, users need to install it before in the library of files GTK+. If you want to have a realistic report of the situation of your economy, according to your incomes and expenses, you do not need to look for it any more; download now HomeBank. With this program you will be able to better manage your economy and you will get some benefits. 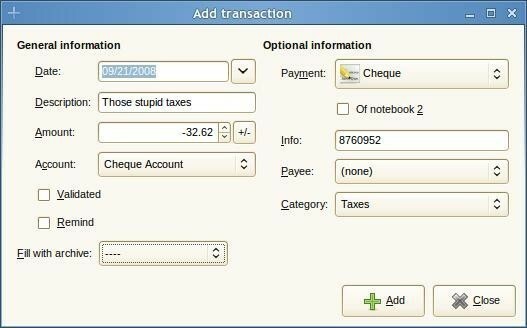 This is an application created for the administration of a home or small business and the account management. Stay on top of your finances from anywhere with the help of Contamoney. 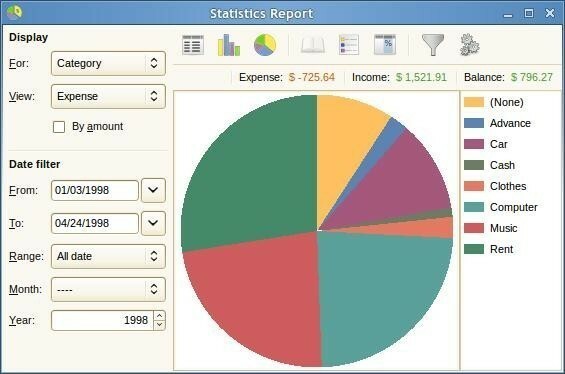 An open source accounting application that can be used by both businesses and individuals.